I am starting with a series of images characterized by peace for spirit. Pleasant greens! Even the water ! I like your picture a lot, thank you Vitor! I like very much, very beautiful composition and greens Vitor ! If this wonderful shot is any indication of your other shots to follow, I can hardly wait to see the rest! Beautiful and peaceful with rich colors and a feeling of tranquility. WOW! 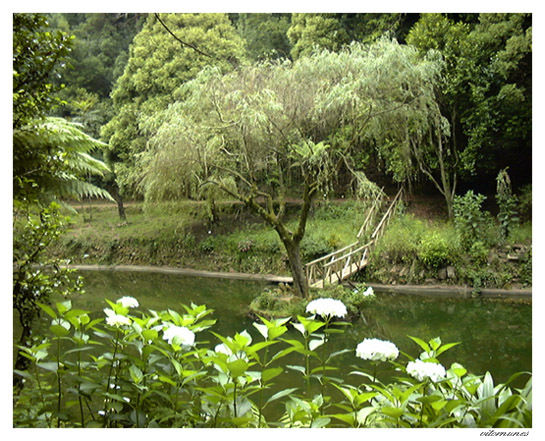 Is this Azores and in Furnas ? Anyway it is very beautiful ! For the beginning this one is very nice and quietfull. A great photograph. Well done and very pretty. Congratulations, Vitor Nunes.